David Powers King: New Releases! 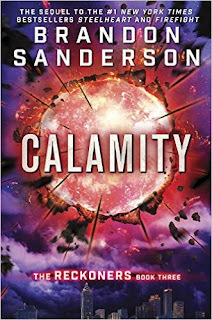 Calamity by Brandon Sanderson and Bluescreen by Dan Wells, and Teen Author Boot Camp! New Releases! 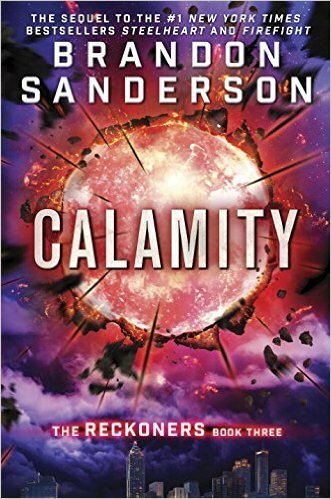 Calamity by Brandon Sanderson and Bluescreen by Dan Wells, and Teen Author Boot Camp! The conclusion of the bestselling Reckoners series! When Calamity lit up the sky, the Epics were born. David’s fate has been tied to their villainy ever since that historic night. Steelheart killed his father. Firefight stole his heart. And now Regalia has turned his closest ally into a dangerous enemy. David knew Prof’s secret, and kept it even when Prof struggled to control the effects of his Epic powers. But facing Obliteration in Babilar was too much. Once the Reckoners’ leader, Prof has now embraced his Epic destiny. 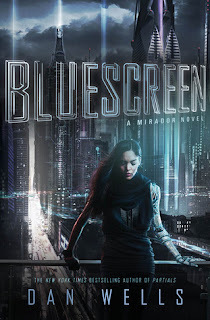 He’s disappeared into those murky shadows of menace Epics are infamous for the world over, and everyone knows there’s no turning back. . . .
And Bluescreen, the start of a new sci-fi-noir series by Dan Wells! Now, if you didn't already know, a fantastic event is about to take place in the next couple of weeks. I'm talking about the Teen Author Boot Camp! I was a presenter there, and had a blast. Now they're letting me come back to teach a class on collaboration with my good friend and co-author Michael Jensen! The conference will be held at the Utah Valley Convention Center. So if you have aspiring teen authors in your home and live near or around Utah, let them know. Going to conferences is what led to improvement for my writing. 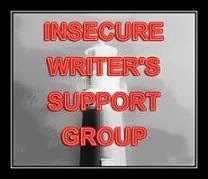 It can for your writer, too! Time for me to run. As always, thank you for stopping by. 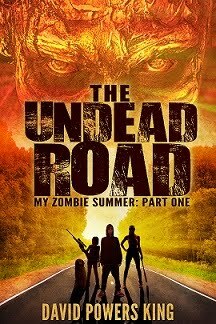 Be sure to let your zombie fan friends know about The Undead Road if they need a good zombie fix before the next Walking Dead episode. This books is still doing surprising well, so I'm very happy by how well it's being received. Getting close to 1/3 of the way done on Part Two now. Time to shove off into the galaxy. Have a great week, everyone! If you're a writer, when did you start? Who's excited for these two new books? Know anyone interested in Teen Author Boot Camp? David, what did you think of this week's "The Walking Dead?" Pretty intense, right? And wow...look at those covers above. It almost seems like there's too much going on. LOL but they look spectacular. You always find amazing books my kids want, making my birthday shopping easier! Those look interesting. My TBR pile is getting out of control. My brother will surely be interested with these. You get so many book conferences, writers conferences, etc. in your area - we have next to nothing here. That would be a great program for Eastern NC. Best of luck to the new releases! Undead Road is such a fun read! I'm really enjoying it. 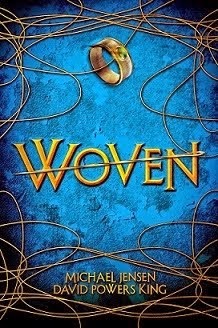 Ashamed to say I have book 1 of this series forever on my kindle but have not read it yet. But the online sampler I read back when I decided to buy it was amazing. I need Bluescreen in my life but I'm on a book buying ban til March. Need to save that money. 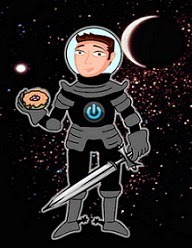 Congrats on your book doing well and it's great that you are helping teen authors David.